I saw this scene while traveling a few years ago. I’m not really sure what’s going on at this motel. Why is there a dinosaur? Why is the dinosaur falling apart? 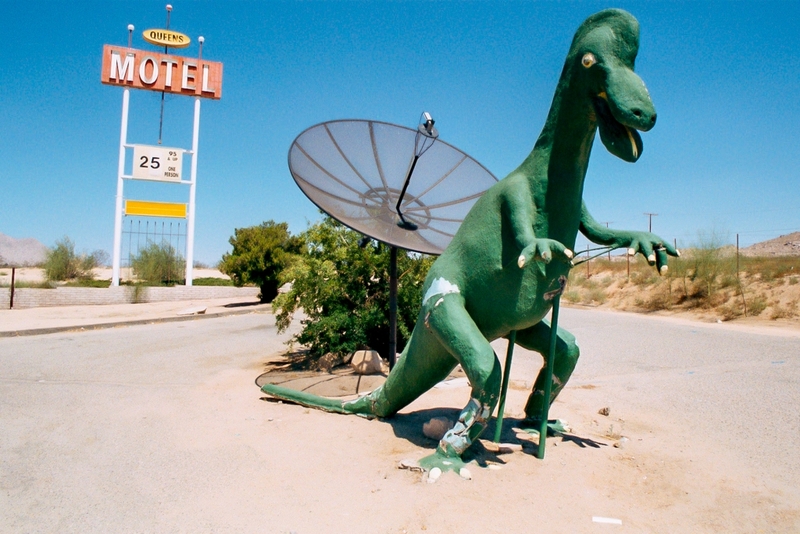 The rates are good but I think this motel would give me the creeps.